It's very Interesting tour for me. ButI should buy an extra drink in every pub and club. If you join this program you may spend more than $50. 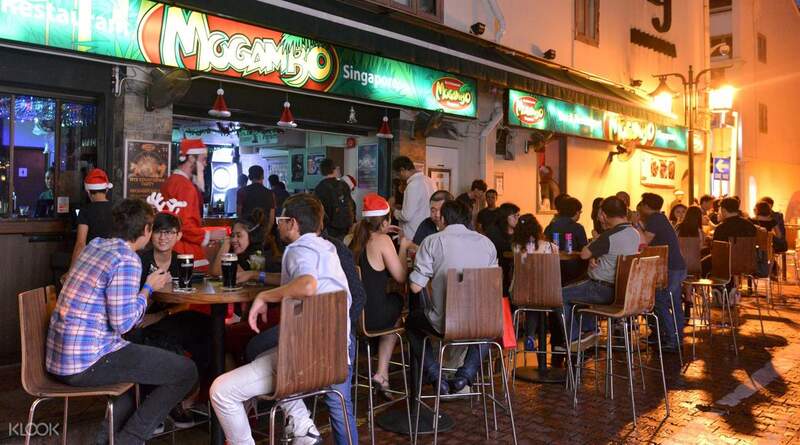 Spend the night bar hopping all over Singapore. Meet up with the tour at Raffles Place to get the night started. Then, follow your professional party guides to four pubs and one nightclub all over the city. Indulge in free shots per nightclub (the total number depends on the package you choose) - on top of that, enjoy amazing deals for your drinks! Get free entrance and skip the queue access to one of the hottest nightclubs, and party the night away with new found friends from all over the world. Enjoy complimentary shots at each bar and value for money drink deals! Thought the worst having to book this but pleasantly surprised in the end. Klook gave wrong directions having us exit D instead of B at Raffles Place. Had to run to the Fat Pigeon statue since we were already late and the exit was too far from the statue. The guide was also late. We all had found ourselves waiting for the guide instead of him waiting for us. But as soon as the crawl began, we had the most amazing time! Met great people and made good memories! Thought the worst having to book this but pleasantly surprised in the end. Klook gave wrong directions having us exit D instead of B at Raffles Place. Had to run to the Fat Pigeon statue since we were already late and the exit was too far from the statue. The guide was also late. We all had found ourselves waiting for the guide instead of him waiting for us. But as soon as the crawl began, we had the most amazing time! Met great people and made good memories! It was my first time to join a pub crawl. My cousins and I enjoyed the pub-crawl with free shots every bar. People are all friendly, an acquaintance gave me a giveaway shirt (supposedly for premium). It was fun and will join again when I get back to SG. 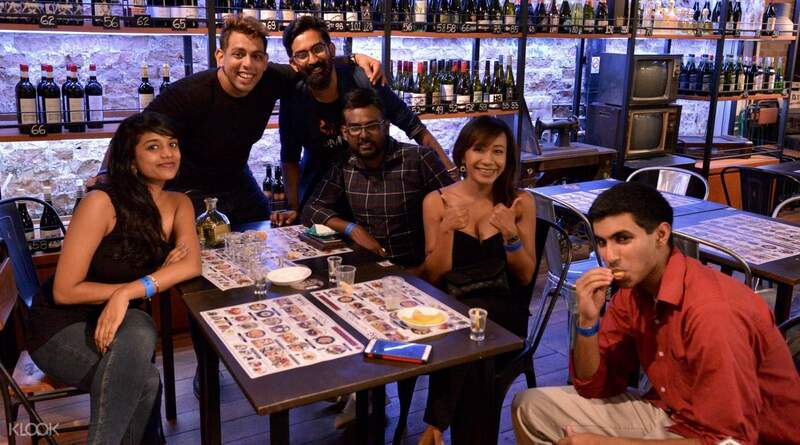 Photos are from Singapore Pub Crawl FB page. It was my first time to join a pub crawl. My cousins and I enjoyed the pub-crawl with free shots every bar. People are all friendly, an acquaintance gave me a giveaway shirt (supposedly for premium). It was fun and will join again when I get back to SG. 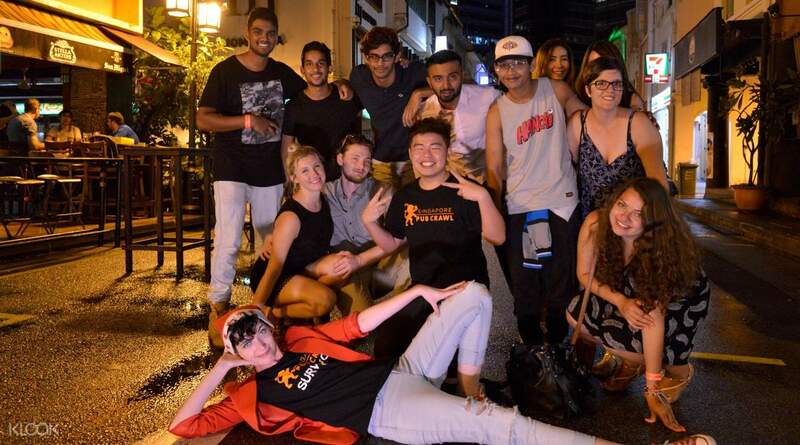 Photos are from Singapore Pub Crawl FB page. 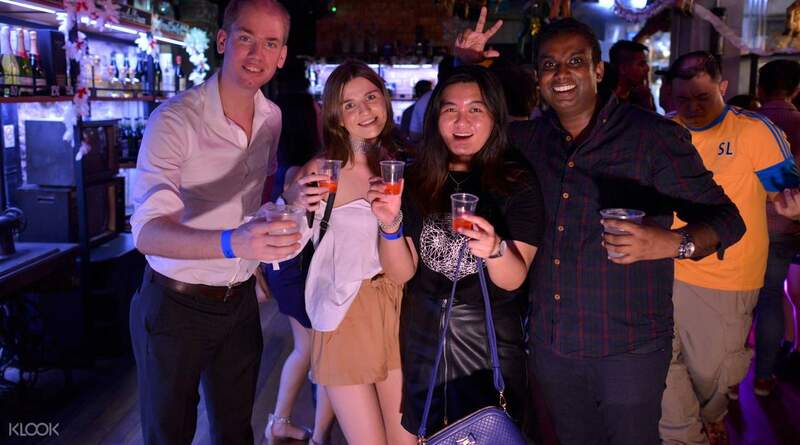 it was a great experience meeting other people..however you really need to.pay for your drinks because the complimentary shots are few.. it was a great experience meeting other people..however you really need to.pay for your drinks because the complimentary shots are few..
Enjoyable activity. Meeting different people and making friends. Our group was awesome, we all enjoyed a lot grooving on beats. Our guide was Ambuj, he was really good and helped us in getting free entry to 2 extra clubs. Enjoyable activity. Meeting different people and making friends. Our group was awesome, we all enjoyed a lot grooving on beats. Our guide was Ambuj, he was really good and helped us in getting free entry to 2 extra clubs. It was my first time in Singapore and the Pub Crawl didn’t disappoint. It was one for the books kind of experience. We were able to meet new friends from different countries. Got the cheapest drinks at the bars we went to. Even though it’s just a one night experience, we stayed in touched with the group and it was amazing! Will try this again when we go back for vacation. It was my first time in Singapore and the Pub Crawl didn’t disappoint. It was one for the books kind of experience. We were able to meet new friends from different countries. Got the cheapest drinks at the bars we went to. Even though it’s just a one night experience, we stayed in touched with the group and it was amazing! Will try this again when we go back for vacation. Yes. It is worth it ... if you wont to drink and make fun. ONLY: It is necessary to take the VIP Crawler to have a "1 hour free flow spirits". Otherwise, you will be bored and you will watch how others are having fun. In general, it was nice: differet people, friendly atmosphere, pretty girls, handsome guys (it's about me). It is worth it. Yes. It is worth it ... if you wont to drink and make fun. ONLY: It is necessary to take the VIP Crawler to have a "1 hour free flow spirits". Otherwise, you will be bored and you will watch how others are having fun. In general, it was nice: differet people, friendly atmosphere, pretty girls, handsome guys (it's about me). It is worth it. An absolute must if you're visiting Singapore. You get to spend a night with random people drinking and having fun, and end up making a few friends along the way. An absolute must if you're visiting Singapore. You get to spend a night with random people drinking and having fun, and end up making a few friends along the way. Had an amazing birthday night ever because I attended pub crawling in Singapore. Had the chance to meet people from all over the world. It was really crazy!!! 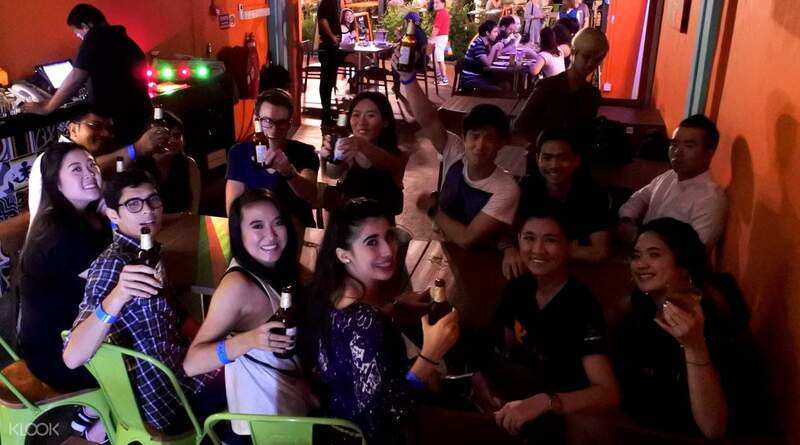 Had an amazing birthday night ever because I attended pub crawling in Singapore. Had the chance to meet people from all over the world. It was really crazy!! !